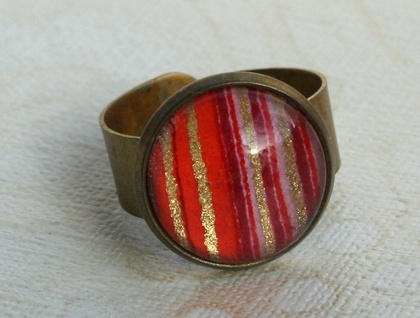 In my signature style - this 14mm glass dome is sealed over Japanese chiyogami paper and set into this brass adjustable bezel ring for a striking and fun splash of color to your day. 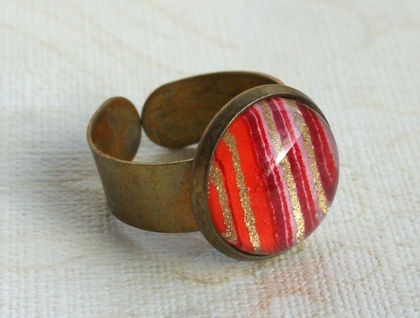 This red, orange and pink striped ring looks edible like candy - reminds me of the carnival! 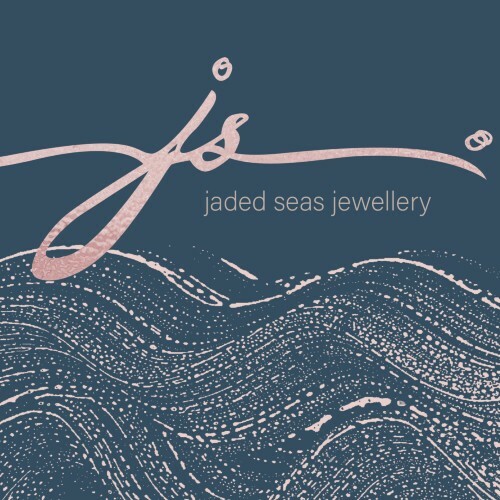 Each ring is indiviually hand made so will vary slightly from the one pictured - but it will be just as lovely - I promise! 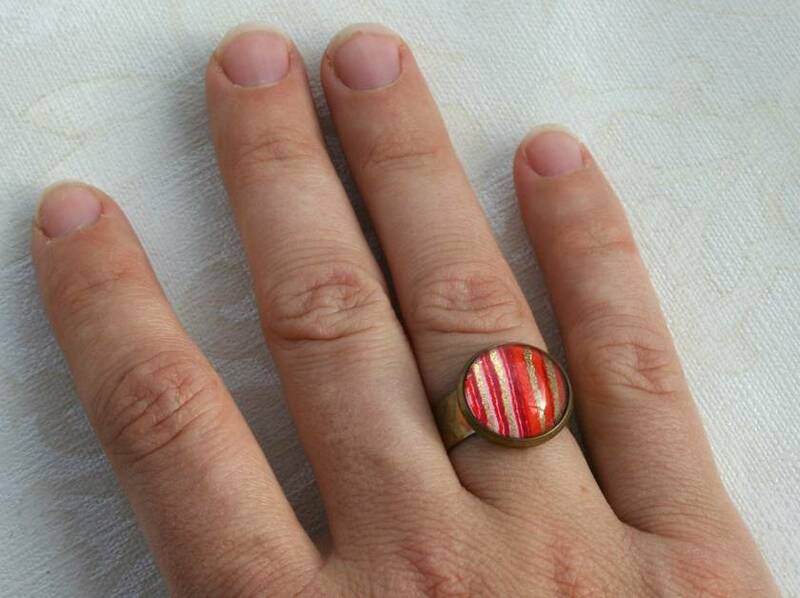 The brass rings are fully adjustable, so will fit a variety of finger sizes. 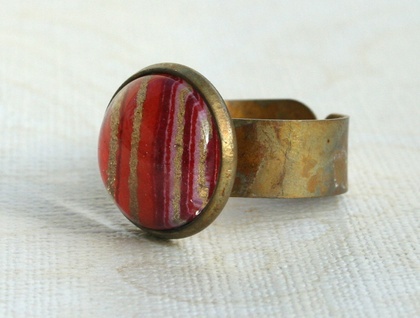 The brass has been oxidized for an interesting antique affect. Though the ring has been sealed it is not 100% water proof and needs to be removed when showering / swimming etc.